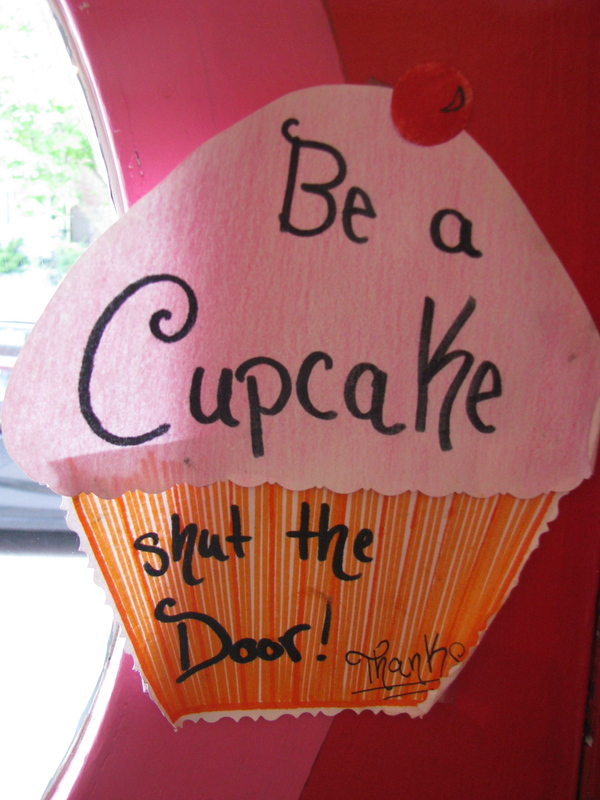 2009 has been the year of the cupcake in Columbus and while the cupcake bubble may have burst nationally, Columbus is bucking the trend. The Dispatch first reported the growing Columbus cupcake trend in 2007 but this year has seen two Cupcake Camps and sales of cupcakes booming. 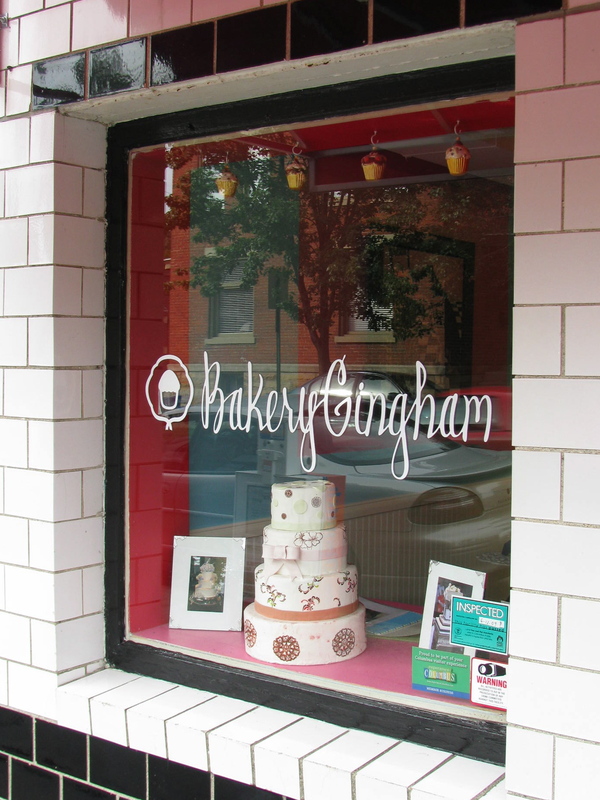 2009 has also seen the opening of Sugar Inc Cupcakes in Dublin and two new stores for Bakery Gingham. 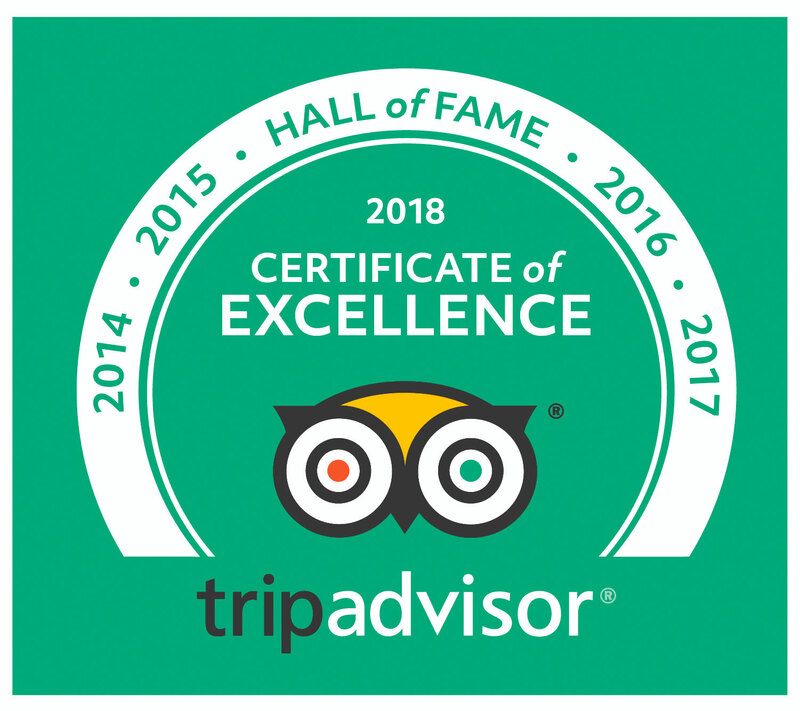 The Cupcake Podcast has just gone live – so make (or buy) some cupcakes, have a cup of tea and sit down for a few minutes to meet some Columbus cupcake enthusiasts and find out why everyone loves cupcakes so much. 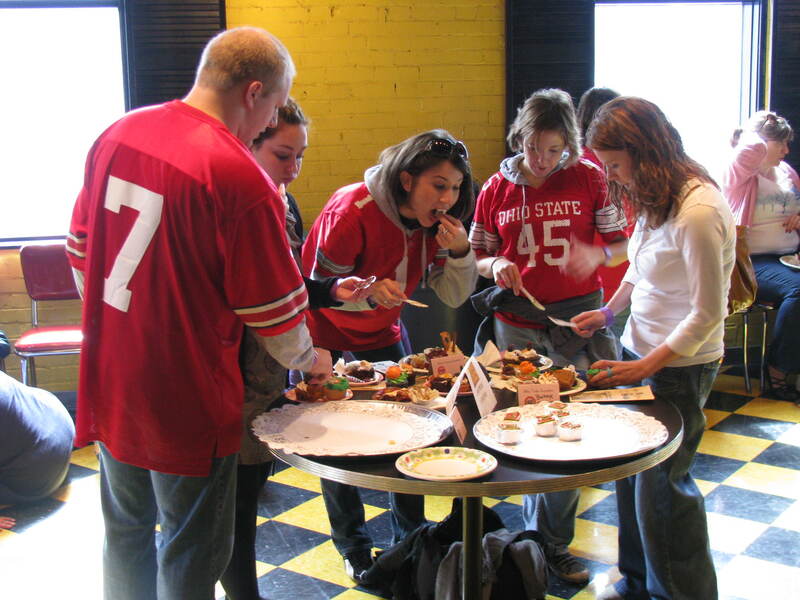 We interviewed Amanda Ellis from Bakery Gingham and some of the organizers, judges and participants from Cupcake Camp Columbus, including Jennie Scheinback from Pattycake Bakery. The Revenge of the Cupcake Camp Columbus was held on October 10th at the North Market. There were around 40 different cupcakes made by 24 bakers and the categories were: harvest, halloween, vegan, Ohio pride, best decorated and best North Market inspired. The early afternoon venue allowed for pre-gaming. 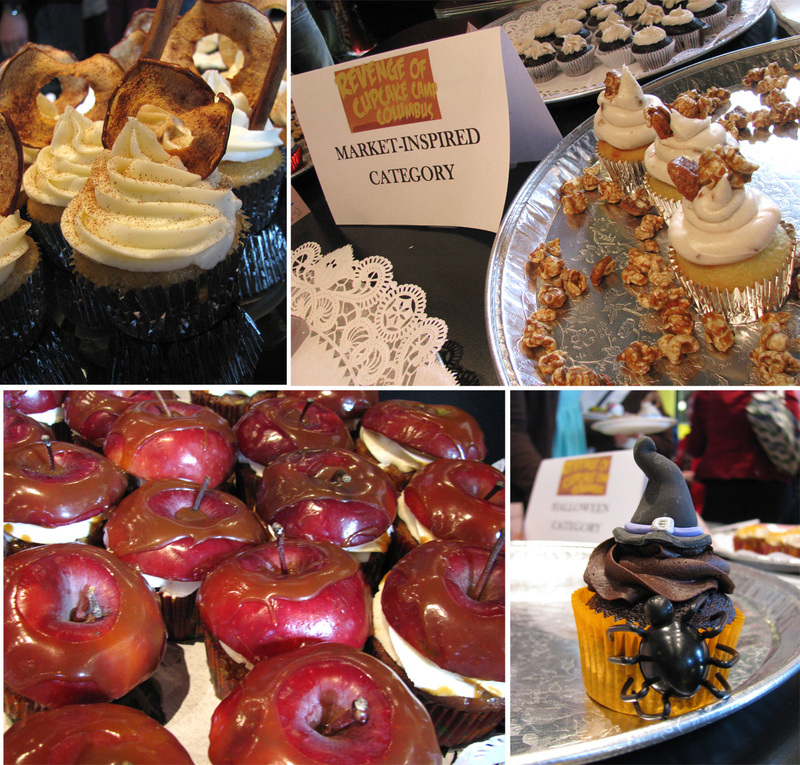 My favorite cupcake was the winner of the Best North Market inspired category. It was Oishii Yoshi cupcake made by Stacie Sells of Little Darlin’ cupcakes. Inspired by Nida’s sushi, it was white chocolate wasabi with sake soaked plum and sesame seeds. Sounds bizarre, tasted divine. 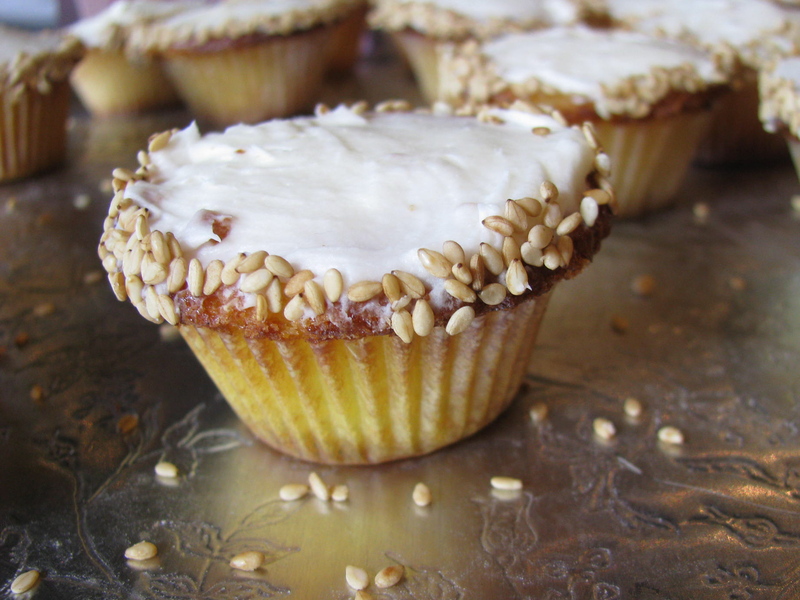 No overdone piles of frosting, not too sweet and subtle flavors that left you guessing. 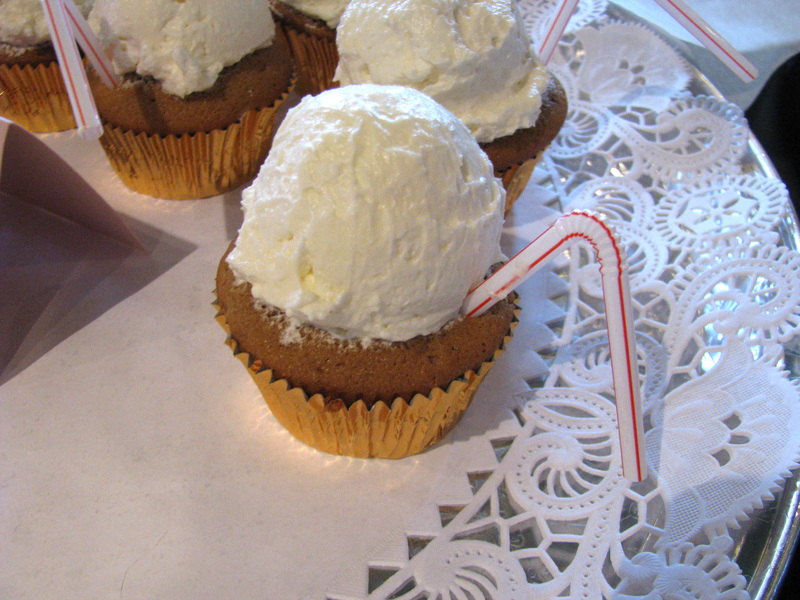 The winner of the best decorated category was the Frostop root beer float cupcake. The harvest category featured a lot of pumpkin, zucchini and apples, which with the halloween category lent a very seasonal feel to the event. The interpretations and variety were really fun. 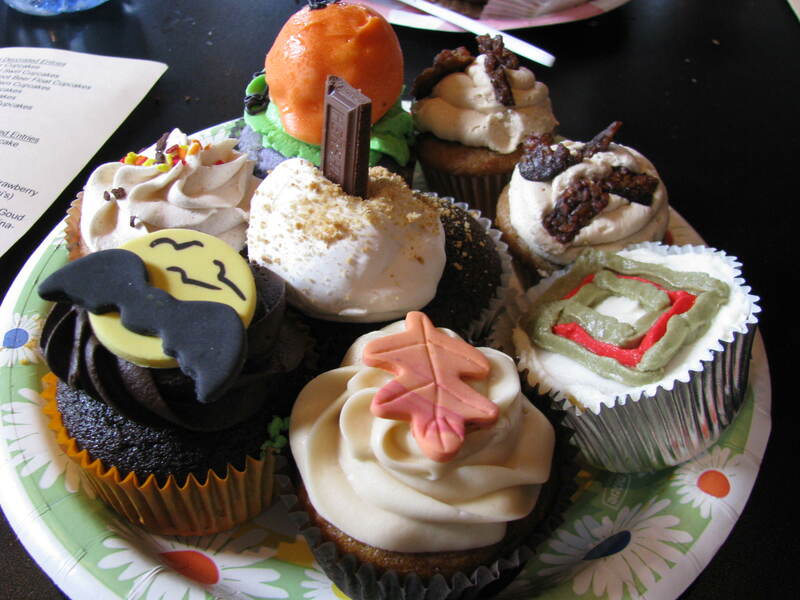 The next cupcake camp is planned for February – so it will be interesting to see what seasonal categories there are. There are a lot of creative people in Columbus. You can follow Cupcake Camp on twitter and there is a flickr group where you can see photos from both of the 2009 cupcake camps. Amazing pictures as always, Bethia. If our podcast listeners want to play along, take a shot every time you hear the word “cupcake” on the show! Hard work but someone had to do it. Good work B.